His story begins in his childhood. Thanks to a father who instilled an appetite for books, Tapiwa Mugabe read voraciously from a young age. “(It was) mostly silly stories that barely made sense, and fantasy stories with heroes and animals,” says Tapiwa, laughing at the literature of his childhood. As much as tales that were once so fascinating seem trivial now, this early introduction fostered the wordsmith within Tapiwa, culminating in the publication of an anthology of poems in 2014. “Tonight i want to be brave. Brave enough for both of us. Brave enough to admit the tears are real. Brave enough to admit love heals almost everything. Tapiwa kept writing, with his book of poems, Zimbabwe, being published in the summer of 2014. 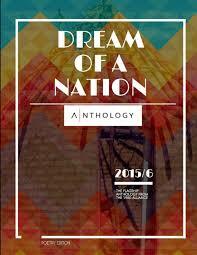 The book is a collaboration with poets Nayyirah Waheed and Yrsa Daley Ward. The meaning behind the book’s title was both obvious and unclear. “It was a sentimental title. It’s my home and I absolutely love Zimbabwe. It’s such a beautiful place and people are lovely.” Having last been in Zimbabwe during Christmas 2011, memories of home hold a cherished place in his heart, and form part of the poetry and prose he creates. As much as he plans on returning home some day (an unspoken plan he says), will returning to Zimbabwe not somehow harm Tapiwa’s creativity? Leaving his home made him rely more and more on writing to celebrate his heritage in an alien environment – would leaving that space not impact his work somehow? Tapiwa doesn’t believe that it will have any effect on his writing. “I think I’ll always write. 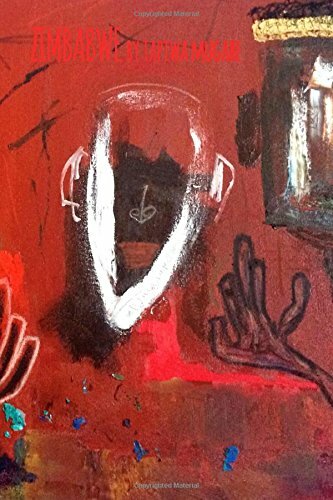 But publishing back home is a whole different ballgame and will present different hurdles to overcome.” Tapiwa uses his poetry to explore hope, love, family, yearning, masculinity and immigration – issues that resonate with many other young Zimbabweans. In addition to his work, Tapiwa is part of a collective known as the 1980Alliance. “It’s a group of young Zimbabweans who want to make a difference, and together we published an anthology,” he explains, in reference to Dream of a Nation, which was published in 2015. 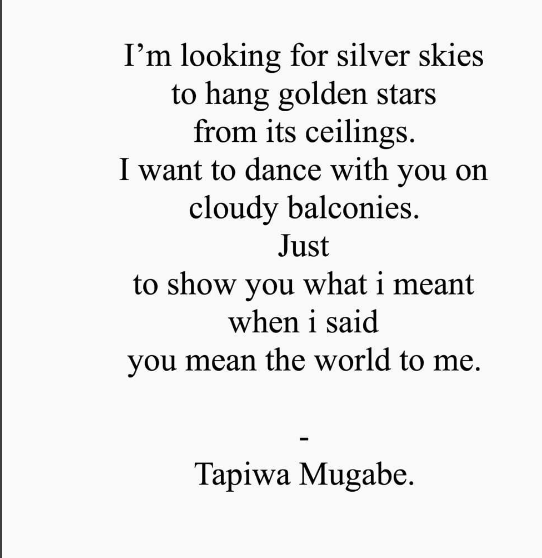 To read more of Tapiwa Mugabe’s poetry, visit his Tumblr profile here. To buy his book Zimbabwe, visit Amazon.